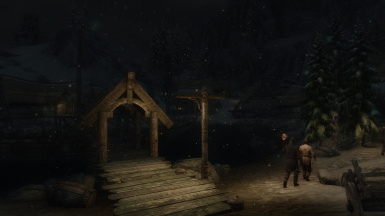 particle system from the weathers and adds in-world snow particle systems (And optional PHYSICAL SNOW). and effect lighting! It dramatically increases the feeling of snowy days & nights that way! It also includes a fix for the Day 1 vanilla bug that visual effects disappear as soon the map was used! 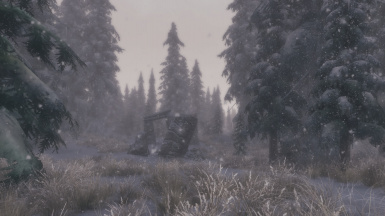 This Mod is part of the VIVIDIAN ENB Suite and available here as a standalone mod for better compatibility. 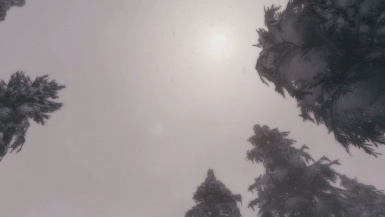 of snow particles in front of you, so expect a FPS loss. 3. You need SKSE for the map weather fix to function properly! lighting effect to be seen well. 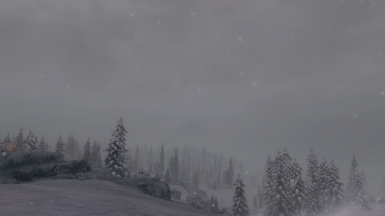 Weather mods like PW / Purity help there. 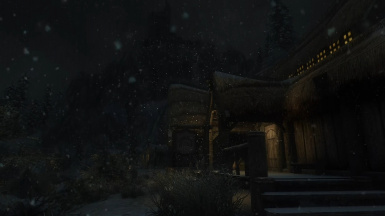 RCRN, Climates of Tamriel, Expanded Snow Systems , Supreme Storms, Weather Ambience Overaul. 1. Follow the installer Instruction or copy the content of the data folder into your skyrim/data folder. your list and click on "open in explorer"
4. Run Tes5edit and leave all checkmarks enabled so it loads up your whole modlist. - that will take a while. The script will now scan your modlist and add all Weathers that will be changed by Vividsnows to the Vividsnow.esp. 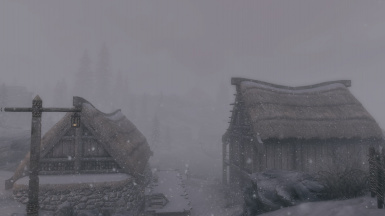 you remove or add Weather mods. 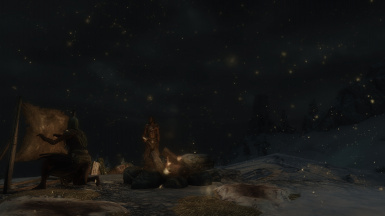 It greatly depends on your weather mod and the particle brightness of it. -There can be leftovers of old particle effects stuck in the savegame - blurry particles in front of your cam. In that case, open the console , type in FW 81a and save. Then restart Skyrim and load the saved game. because the savegame didn’t have one. To fix this, force a snow weather with the FW 4d7fb command and save. 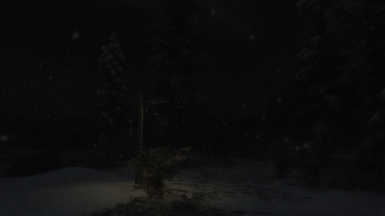 -Almost invisible or too dark particles may often be the result of wrong ENB settings. the volumetric Fogs on the mountains. 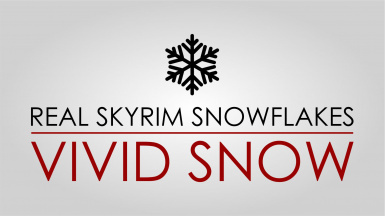 There is nothing i can do about that, only your ENB mod Author. snow being frozen and not animated as well as snow falling though roofs sometimes. Thanks to Kesta for the ongoing great work on the Physical Emitter Script!